Even in the digital age, direct mail is an important and useful marketing tool for small business. 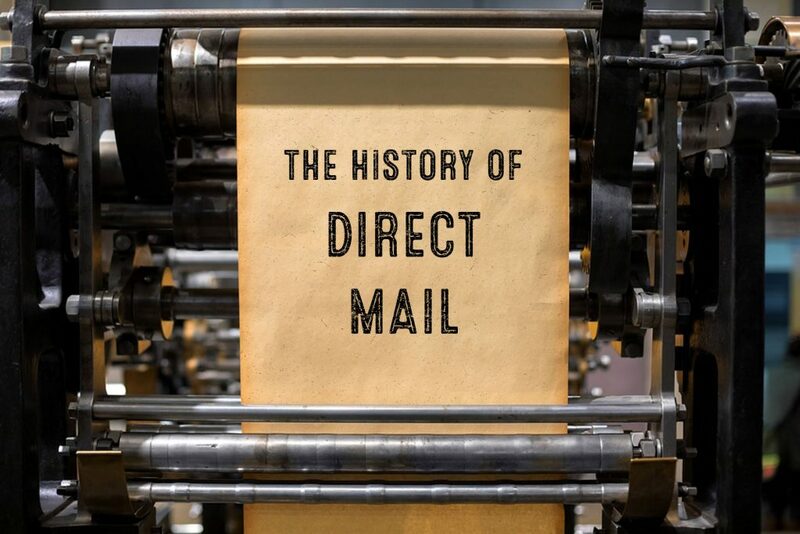 Direct mail also has a long history, beginning thousands of years ago. Let’s take a look. The earliest concept of direct marketing can be traced to Ancient Egypt — around 1000 BC. A local landowner used papyrus to announce a gold reward for the return of a lost slave. This artifact was found in Thebes and is on display at the British Museum. Babylonian merchants inscribed what they had for sale on materials like brick and stone and distributed them to potential buyers in neighboring areas. These heavy items ultimately proved unwieldy and hard to circulate. The concept of direct mail was slow to develop because the majority of the population was illiterate. As a rule, only the extremely wealthy or religious could read and write. That changed in 1440 when Johannes Gutenberg developed the printing press. The Gutenberg Bible became wildly popular and led to a significant rise in literacy. It also signaled a new area of mass production. In 1480, William Caxton printed leaflets enabling potential customers to order from his Westminster Abbey printing press. Caxton’s technology made it easier to produce direct-mail pieces on a larger scale. While direct mail was gaining popularity in Europe, William Penn introduced it to the colonies. Penn, the founder of Pennsylvania, created a leaflet in the late 1600s that was translated into Dutch and German and led to a large number of Europeans immigrating to Pennsylvania. Direct mail really took off in the 1800s. In 1872, Aaron Montgomery Ward created a general merchandise mail-order catalog that changed the way people shopped. By 1888, Ward had over $1 million in sales. Another businessman, Richard Warren Sears, inspired by Ward, developed the famous Sears catalog, which, by 1896, boasted 500 pages. Ward and Sears brought direct mail to the mass market. In the 1800s businesses used trade cards to promote their wares and were a precursor to the modern advertising postcard. By the late 19th century, many well-known companies, like Colgate and Palmolive, used trade cards as a promotional tool. Considered the creator of modern-day marketing, ad executive Lester Wunderman is credited with coining the term “direct marketing” in 1967 and developed the magazine subscription card, the 1-800 toll-free number, loyalty programs, and the Columbia Record Club. A good mailing list is key to a successful direct-mail campaign. In the early 20th century, businesses in urban areas used city directories for names and addresses. Other sources for names included manufacturer’s warranties, state vehicle registration, and magazine subscriptions. As direct mail became more sophisticated, so did targeted mailing lists. The advent of computer technology streamlined the process and made building a database of names — and selling those names — easier and more profitable. Today, mailing lists are used extensively for targeted email campaigns. Whether you’re looking for traditional direct mail or email marketing, Farmhouse Creative is here to help!